What is joy? Where does it hide? And can design help us find it? We explore author and designer Ingrid Fetell-Lee’s uplifting Ted Talk and share what makes us smile. It’s something we’ve all felt at one point or another - maybe even on a daily basis for the lucky ones. But what exactly is joy? How would you describe it? It’s a positive emotion, that’s a given, but it’s also one that feels different to, say, happiness or an overall feeling of positivity. The feeling of joy is instant. It’s fleeting and momentary and often gone before we’ve even had a chance to register it. Author and designer Ingrid Fetell Lee in her 2018 Ted Talk describes joy as something that ‘makes us smile and laugh, and feel like we want to jump up and down’. And it’s this, that feeling of wanting to ‘jump for joy’ as the saying goes, that’s the crux of it. It’s almost indescribable, abstract even, but one that every single one of us can relate to. What does joy look like, and where can we find it? The beauty of joy is that it can be found almost anywhere. 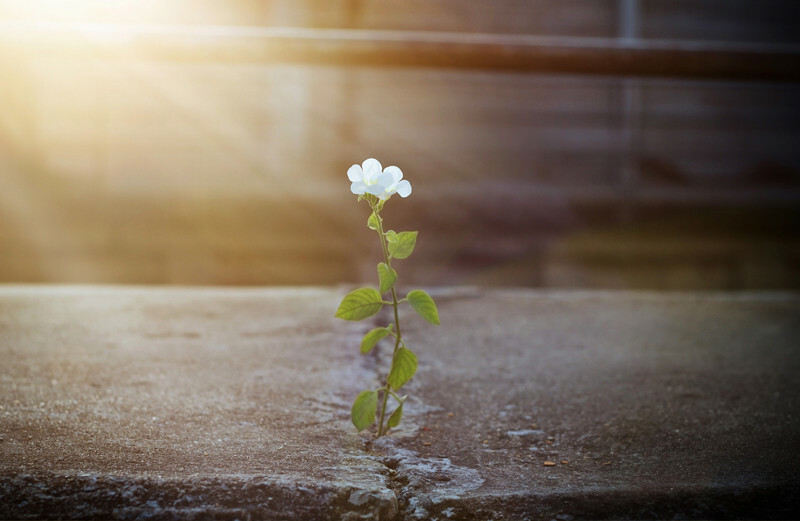 A ray of sunshine breaking through the clouds on an overcast day, a daisy growing through the cracks in a concrete slab or a colourful butterfly fluttering past. These examples are all completely different, yet all elicit a very similar emotion - that distinct and fleeting feeling of joy. It seems there is no one size fits all and it can come in many guises, as long as you know what you’re looking for. So where do team Nest find their joy? Well, just about anywhere you could imagine. From ball pools to hay bales, stationery to flowers, we’re always searching for our next hit. 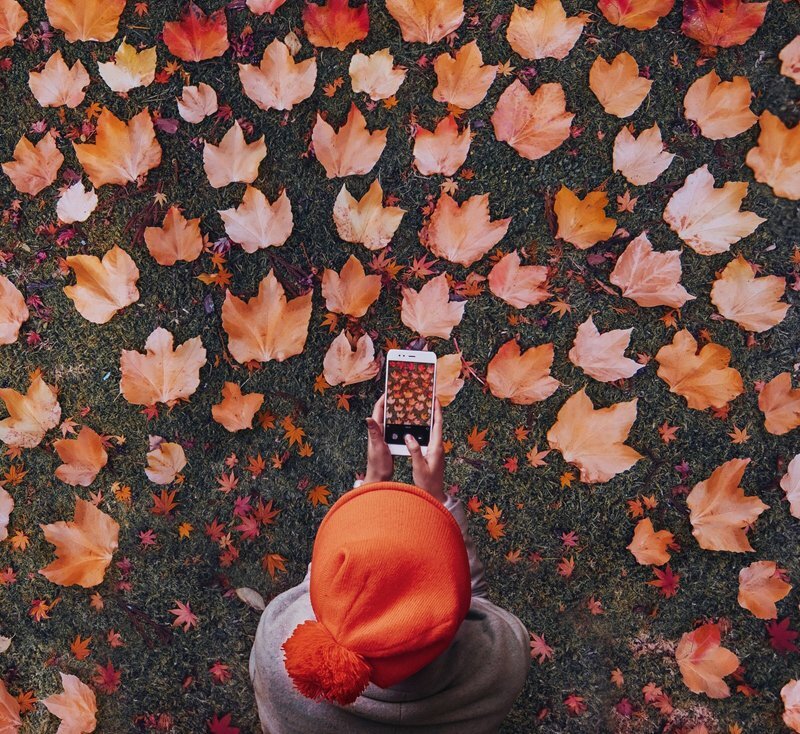 We share some of our happiest finds designed to brighten your day. Jumping feet-first into a pool of brightly coloured plastic balls was one of our favourite pastimes as kids, and now that we can get in on the action as adults too, we couldn’t be happier. 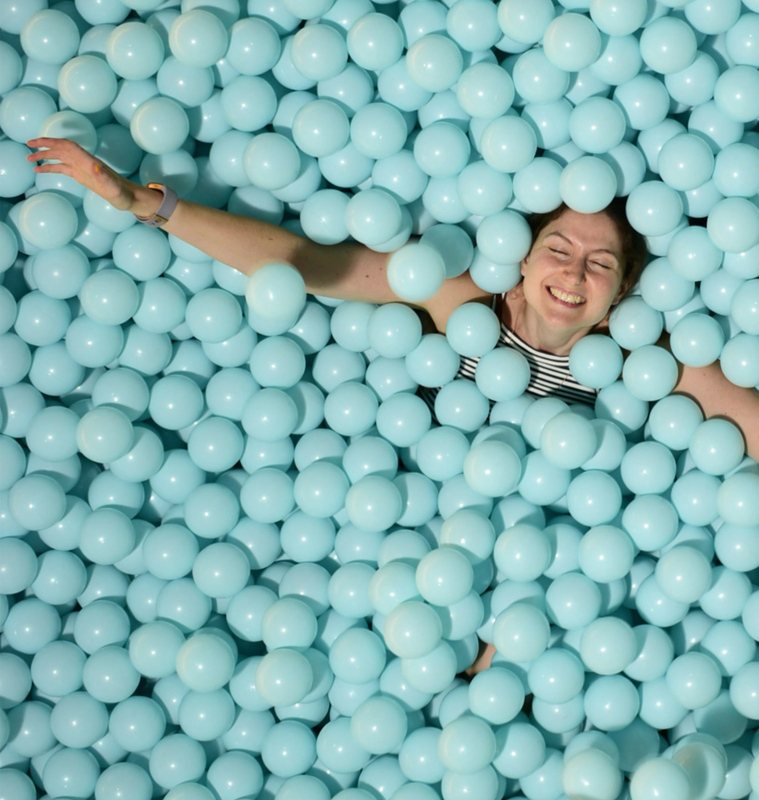 Our freelance copywriter Laura recently took a deep-dive into the Colour Factory’s icy blue ball pit, and came out feeling on top of the world. If you think joy hides away when the rainclouds roll in, think again. 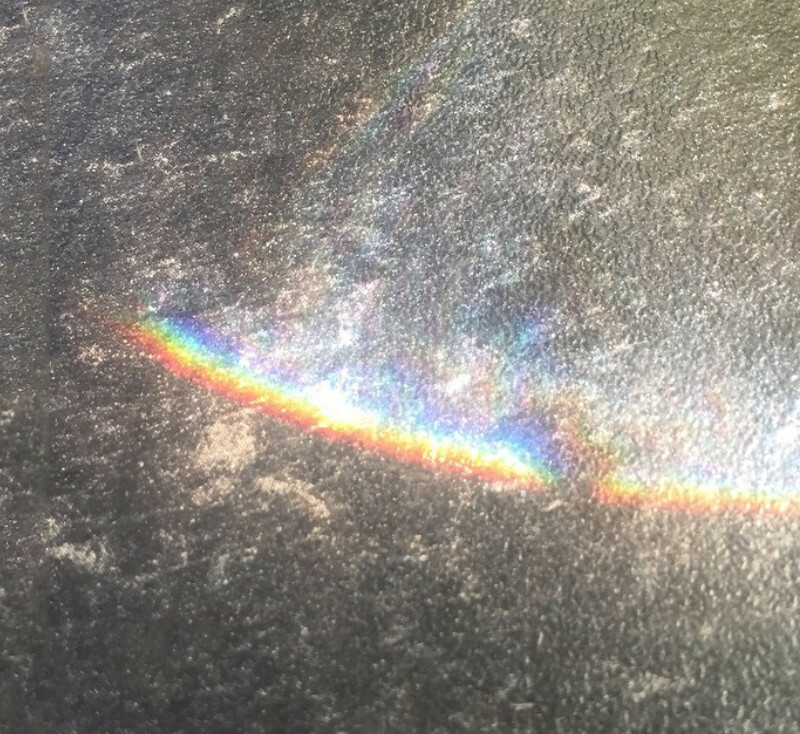 Just look down into that puddle the next time it rains - you might just spot a rainbow. Emily Coxhead enjoying a hay bale moment of joy. Source: 1. We’ve all been driving through the countryside when a field of hay bales suddenly appears in view. It’s a joyous sight, especially when they’re in their ‘jackets’. 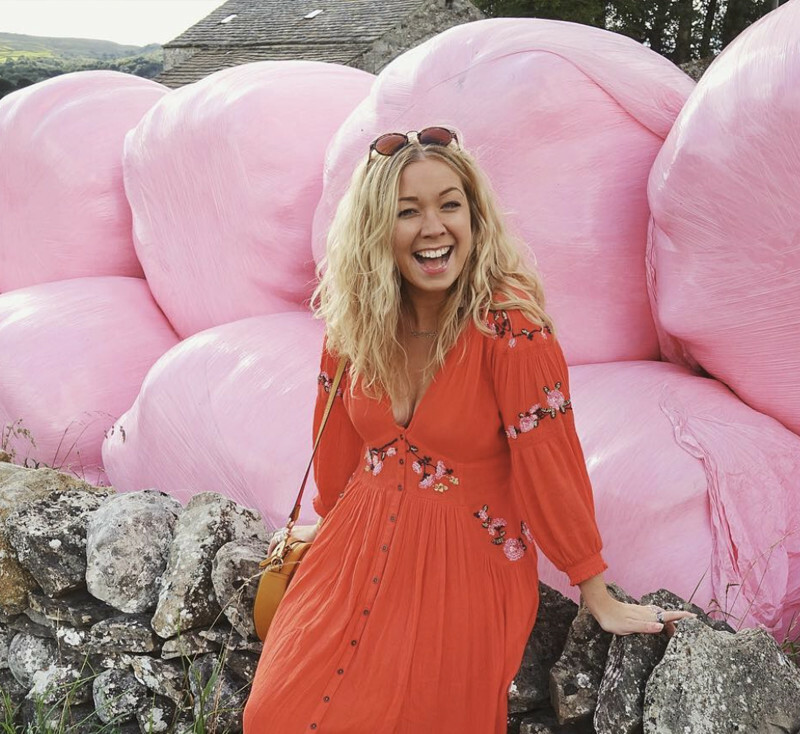 Our Marketing Manager Jess loves the sight of these and it seems she is not alone - designer Emily Coxhead of The Happy News recently posted a picture on Instagram of some candy pink hay bales, which also happened to make her think of marshmallows. Double the joy. Our love of stationery started back when we were shopping for a new pencil case at the start of term, and it hasn’t faded much since then. That feeling of using a new pen for the very first time, or of treating ourselves to a set of Stabilos never fails to bring us feel-good vibes. 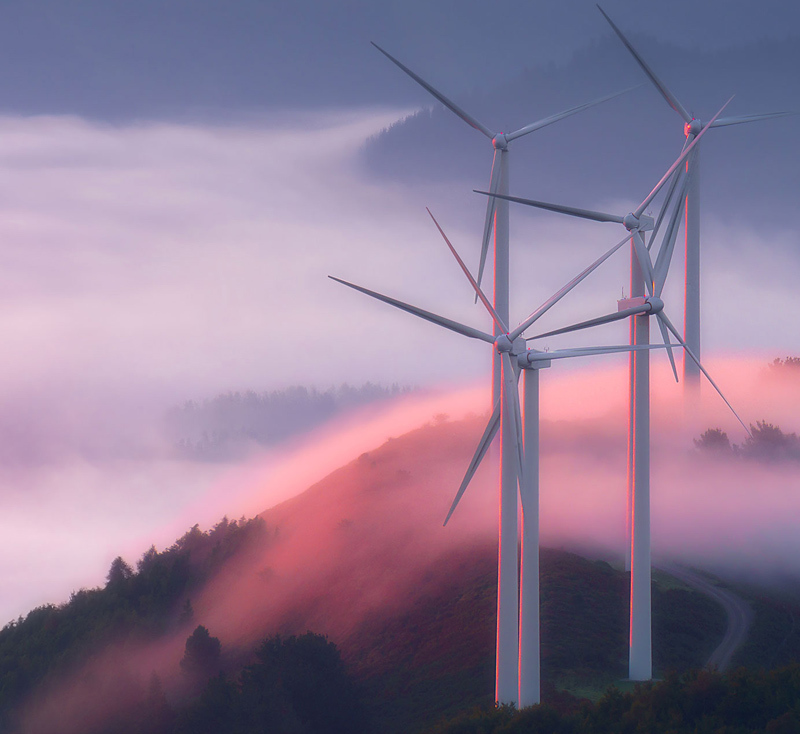 With their outstretched arms turning in unison, wind turbines help us find joy even on our daily commute. The next time you find yourself stuck in a traffic jam near these majestic structures, take a moment to appreciate their beauty. 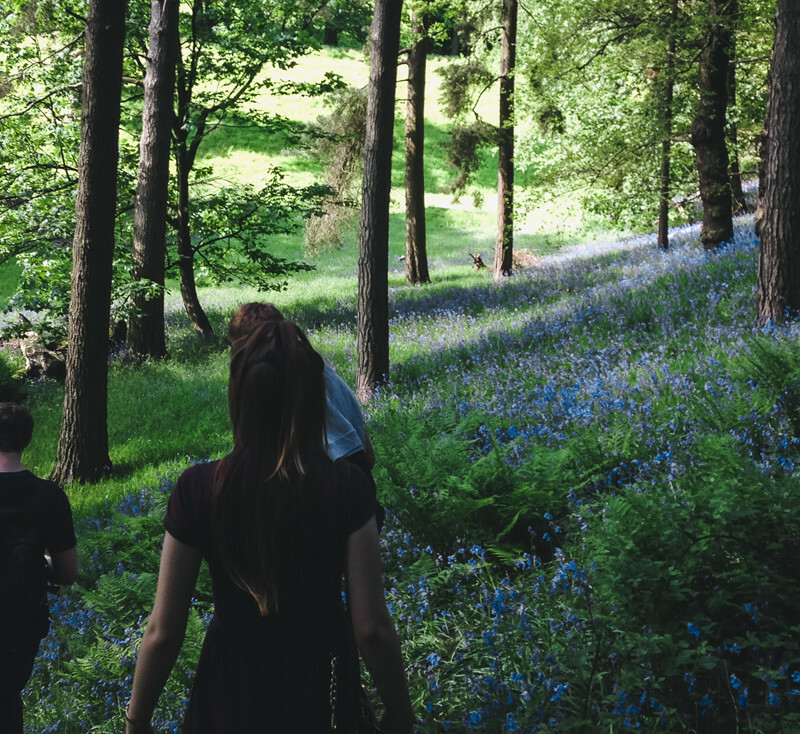 A bunch of roses may look nice and make us feel special, but the types of flowers that bring us the most joy are the ones we accidentally stumble upon - like the sea of bluebells spotted on a forest walk, or the field of sunflowers briefly glimpsed as the train rushes past. They’re happy accidents, and ones that remind us just how beautiful the world around us can be. A bright raincoat on a gloomy day – Source: 1. Image: Antony Jackson. 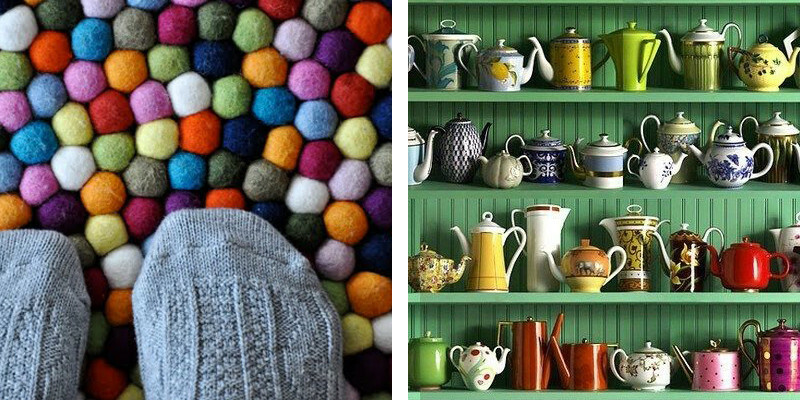 As a team of colour-lovers, colour plays a big part in our search for joy. For us, there’s nothing more satisfying than spotting a neon pink front door amongst a row of plain white ones, or clocking a mustard yellow vintage car in our local park. 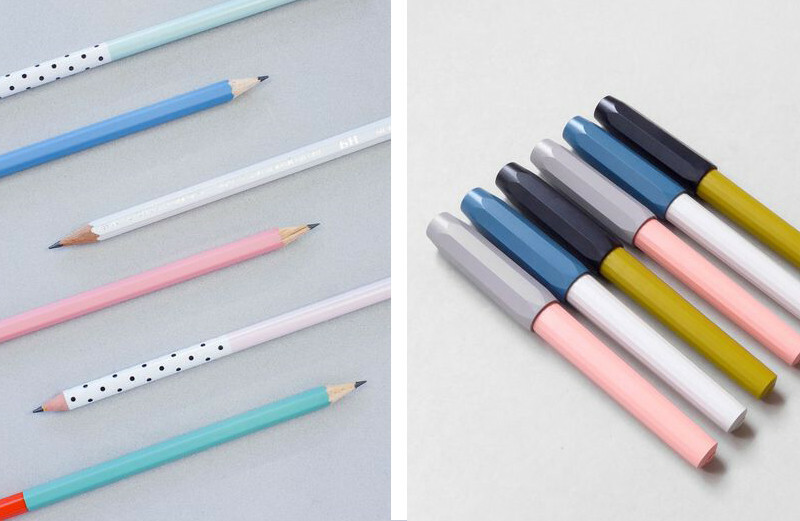 It’s these unexpected pops of colour that keep us on the hunt for more. 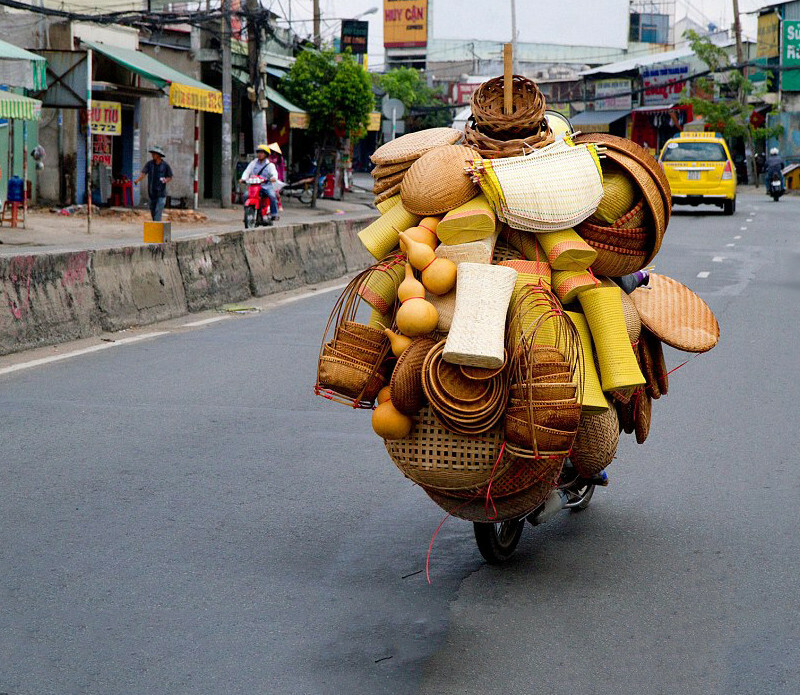 Laden with intricately woven baskets, bags and goods, Vietnamese street carts are a surprisingly joyful sight. We don’t know whether its because they’re not something we get to see everyday here in Sheffield, or whether we just appreciate the skill needed to stack such an abundance of items. Either way, we’re smiling. 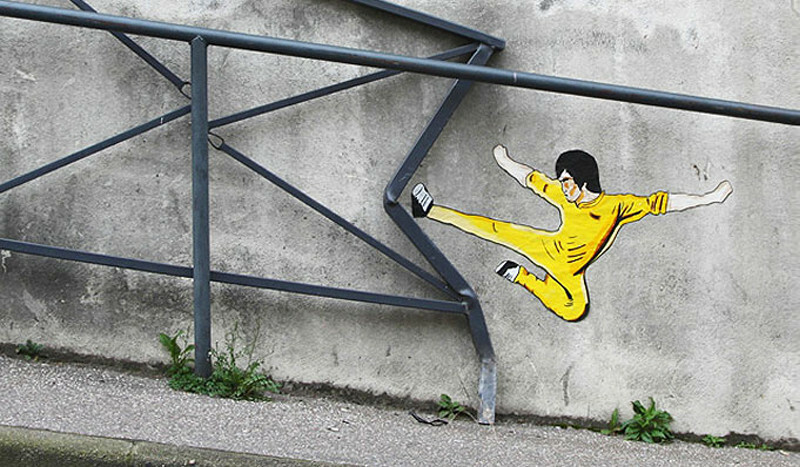 Street art has moved on since the 1980s. Today, we’re just as likely to see a brightly coloured mural with a witty saying as we are a spray painted tag. Be sure to take the time and hunt out the best ones, they’re not always on the main streets. 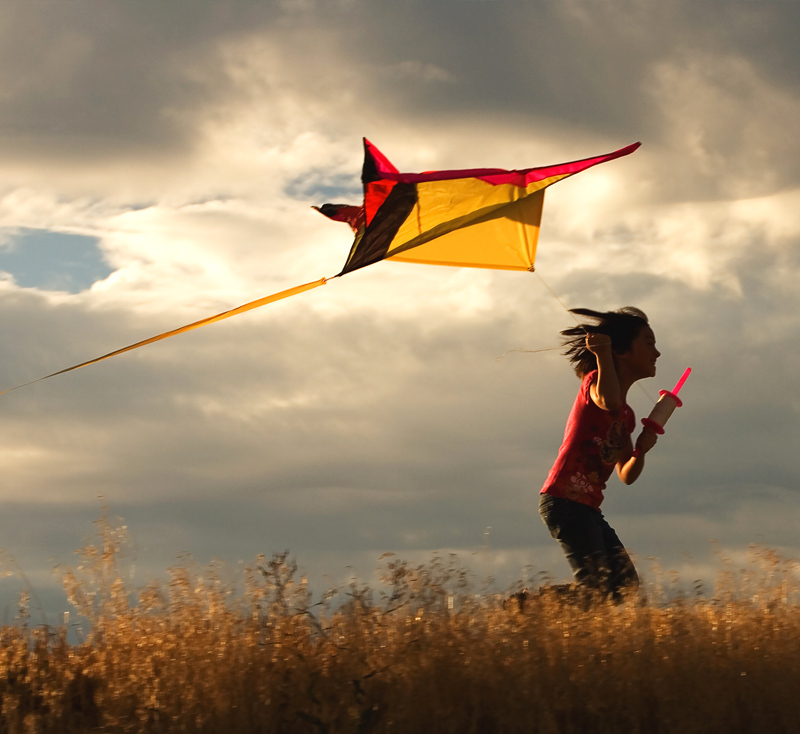 The sight of a brightly coloured kite soaring in a clear blue sky never fails to bring us joy. We just wish they were a little easier to fly so we could do it a bit more often! The changing of the seasons - especially from summer into autumn - is something we look forward to every year. Crisp blue skies, ombre leaves and that palpable feeling of hope and opportunity is something that never fails to bring us joy. Whether sitting atop a wooly winter hat or simply strung together in a garland, there’s nothing quite like pompoms to raise a smile. These soft, circular balls of wool are an easy way to bring a little joy into your life. Being able to sink our toes into the playful Hay Pinocchio Rug would certainly be a mood booster. Teapots, with their spouts and lids and brightly coloured bodies, bring us an infinite amount of joy. The ritual of brewing, waiting and then - finally - enjoying a steaming cuppa is a pleasure that’s second to none for many of our team. 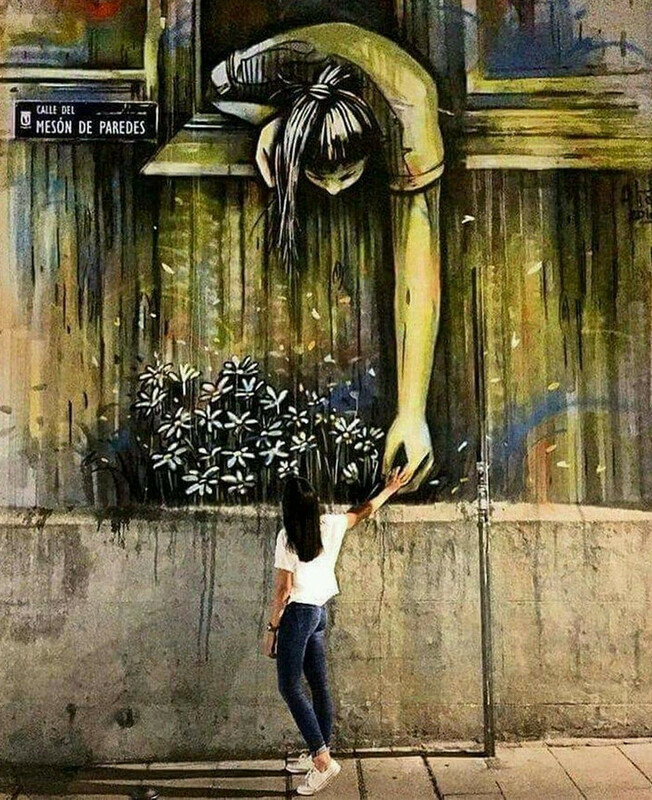 All these things that bring us joy - the ball pools, the sunflowers, the street art - aren’t unique to our team. They’re what make us all feel joyful. And many of them are physical too, meaning we can surround ourselves with them and actively bring more joy into our lives. In her Ted Talk, Ingrid Fetell-Lee highlighted a series of characteristics that are commonly present in the things that give us joy - circular shapes, symmetrical patterns, bright colours and abundance - and we can use these to guide us when furnishing our homes. 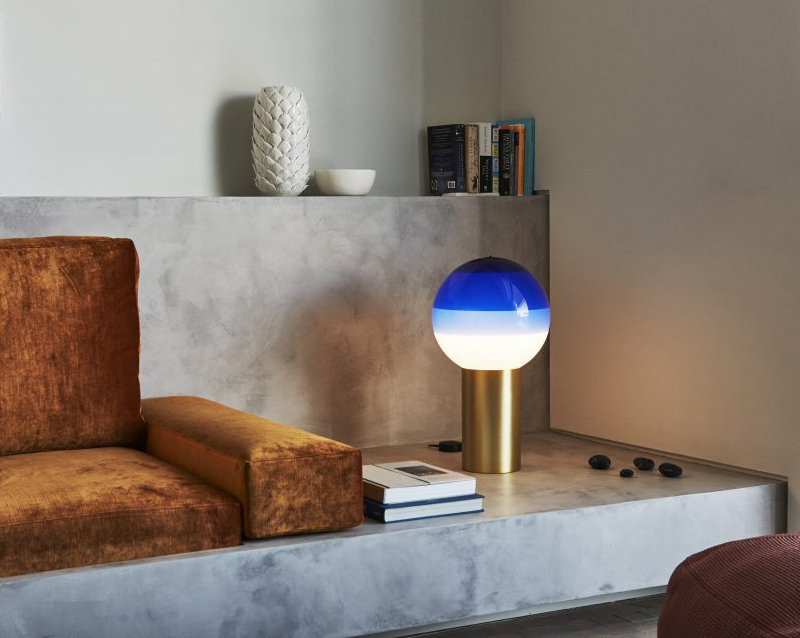 Marset’s colourful Dipping Lamps are a great example. Waking up and seeing one of these cheerful lights on our bedside table would certainly help us start the day in a more positive mood. Or having Muuto’s Dots Coat Hooks dotted around the hallway could help raise a smile after a long day at work. There are hundreds of ways of interpreting these joyful characteristics, all of which could help us create happier - and more beautiful - homes. Joy is a feeling we all share and have in common. In transcends age, gender, belief, style or personal preference and by experiencing it, we’re making connections with nature and humankind. Our experiences of joy may be fleeting - or even over before we know it - but quite honestly, we wouldn’t have it any other way. Be sure to watch Ingrid Fetell-Lee’s Ted Talk, Where Joy Hides And How To Find It, and let us know what you think. Or why not share a photo on Instagram of the things that bring you joy? Don’t forget to tag us @nest_co_uk.